This post was originally published January 21, 2015. My new favorite blog that I have discovered is Katy Wolk-Stanley’s The Non-Consumer Advocate. Among other things, Katy advocates buying used rather than new whenever possible and has inspired countless others to do the same. Her blog is wonderful, and I have been thoroughly enough reading all the back posts. 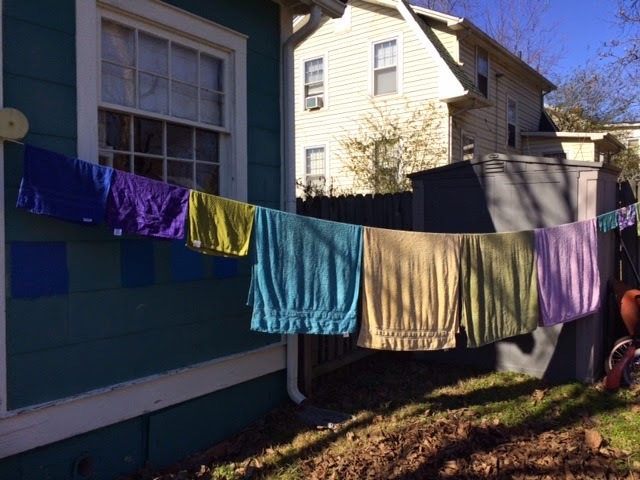 Doing laundry, like sheets and towels, to hang out on the line to dry, taking advantage of the fresh air and sunshine. I am also monitoring my detergent usage, since I think I have been using way too much! Wondering what that weird sound is in our neighborhood. It sounds like an alien playing the pipe organ!